You are here: Home / News / Using Props for your Dessert Table and Photo Shoot . Using themed props is one of the easiest ways to add that extra touch to your sweet table or dessert table design. Vintage style lanterns and lots of flowers, whether dried or real, have been used to fabulous effect in the dessert table below taken from Bridesmaid.com with the home-made lemonade (or is it !!) 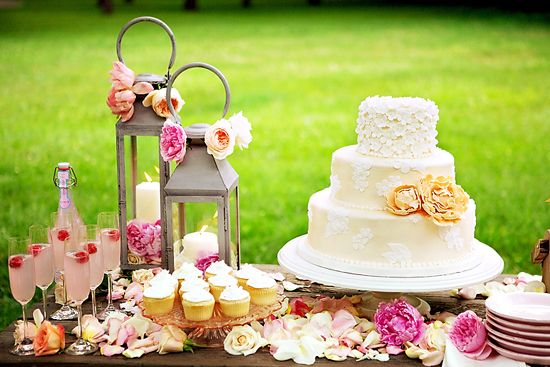 adding a beautiful extra touch for a summer garden party. Go on be inspired but don’t copy ..